Ever buy one of those “As Seen on TV” products on a whim at your local drug store, because the spokesman makes it look so incredible on television? Your pasta will be made in a minute in your microwave. Messes around the house and on your clothes can be picked up easily by using a re-usable rubber rolling pin. Spraying some black aerosol liquid on to cracks, breaks, or a screen door —used as a bottom of a row boat— will create an unbreakable seal. How about that head set that turns any regular cell phone into a hands-free device in seconds? It’s easy to chuckle at the budgeted info-commericials, but many people give these kinds of products a chance at least once and discover what was told to them in the commercial is nothing like what was presented. Hey it’s Barack Obama with a new idea here called fair share. Eight years ago you first saw me offering the “hope” product to this convention as a Senate candidate from Illinois. People loved the hope so much, I campaigned for president four years later and added “change” to the deal. Today, I have something even better to beat the tough economic crisis we’re in. I can clean up the mess the guy before me left by making the super rich pay their fair share. Now here’s the deal. A fair share will make your kids smarter, brighter, happier. See all those math and science teachers? A little fair share will get those teachers making America’s children little Einsteins. And don’t worry if you, the kids, grandma, or grandpa get sick. Fair share will be there to take care of all of you, so don’t fall for the other guys who’ll slash grannie’s lifeline. The amazing fair share can build roads and bridges. And workers, I haven’t forgotten about you. Fair share can also build big factories and grow business so hundreds of thousands of jobs will be there for you. The other guys will just ship your jobs to China. Didn’t go to college yourself? Fair share fixes that too. It slices and dices tuition costs at college and universities. Two million of you can go to college, thanks to fair share. But wait…there’s more. Fair share is great with the deficit too. 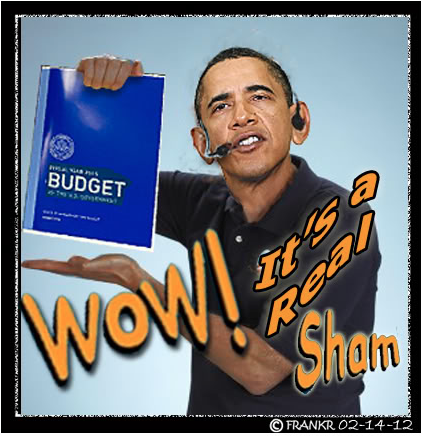 Watch it cut that nasty deficit by four trillion dollars without slamming the middle class. Without fair share, the other guys will just let the super rich ride off the backs of the middle class. You can order fair share for another $5 trillion, and if you act now I’ll throw in “tolerance” and “cultural diversity” for only a $3 donation to my re-election campaign. Order today. Why should Americans buy the same failed product twice?